Make the Cut and Sure Cuts A Lot: Which is Best for You? Be sure to also check out the new SCAL5 Software. Both programs can be used to design what you need. 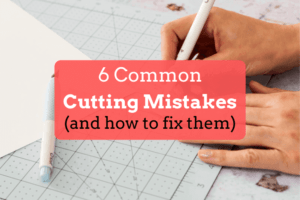 Both have functions for auto-tracing, freehand drawing, node editing, placing text and shapes on a path, shadowing, Bezier operations, temporary font installation, lattice design, rhinestone design, jigsaw design, and more. Both programs can import a wide range of file formats. Vector importing includes SVG, AI, EPS, PDF, GSD and WPC. Raster importing includes PNG, JPG, BMP, GIF, and TIF. Both programs are in the same price range (MTC: $58, SCAL4: $60). SCAL does have a professional version that’s considerably higher at $199. The additional features in the SCAL4 Pro version are presented later in this post. How do the two programs differ? Engraving patterns can be designed in either program, however, it’s far easier to create one in SCAL with its Line Fill feature. The same goes for stencil designing because SCAL has a specific tool for bridging interior shapes. While both programs have similar auto tracing capability, MTC’s settings are more sensitive, thus yielding better results with certain images. There are dozens of other examples, like these, so I put together a table to summarize more of these differences that can affect users choosing between the two. However, first check out the major strengths and weaknesses of MTC and SCAL. Ability to install fonts permanently (versus temporarily) from within the program. This is especially important with the OPF (single line) fonts where there is no way to install them permanently otherwise. Stays current – SCAL offers both Mac and PC versions and stays on top of the latest cutters on the market. 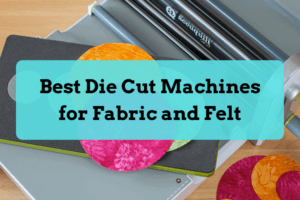 Offering plugins for over 30 models, no other cutting program is better suited for someone who buys multiple cutters or upgrades to a new cutter every few years. MTC has not had any updates in over three years and some users are referring to it now as “abandonware.” While there may never be another update, MTC continues to be sold and continues to support its owners with installation and registration issues. However, before purchasing, you should verify that your cutter will work with MTC. Do NOT count on a plugin being published at some point in the future. MTC is a Windows based program. While a Mac version appears on its download page, this version runs on an embedded emulator called Wine, limiting some functionality such as being able to copy and paste between applications or from the Internet. Further, this Mac version will only cut to three brands of cutters (Klic-N-Kut, Black Cat, and Silver Bullet). MTC only displays in inches. There are some workarounds for those who prefer metric but this has been a major complaint about MTC by those outside of the USA. MTC will come to a crawl if files with several hundred or more shapes are ungrouped for detailed editing. This can also affect importing certain files, such as rhinestone alphabets or SVG’s converted from DXF format. SCAL cannot have more than one project open unless a second instance of SCAL is opened. It further lacks the ability to copy/paste between these two instances. You also cannot copy/paste between other vector programs, such as can be done between MTC and Inkscape or Illustrator. SCAL cannot import the raster part of a PDF file. It also cannot export as PDF. Fortunately, it’s easy to install a print to PDF application and most newer operating systems have it already included. The regular version of SCAL doesn’t include a tiling function or the ability to cut longer than 72 inches, both of which exist in MTC. These two items are, however, part of the more expensive SCAL Pro version. You cannot apply Boolean join functions to shapes with a pattern fill whereas you can in MTC. This can then pose a problem when designing certain print and cut projects. While SCAL does offer a pattern fill function, imported patterns are reduced to a lower pixel resolution and may not then be suitable for printing. Most updates are not announced and no information is provided regarding their content. Further, checking for updates within SCAL often fails to indicate that a new one is available. What else is different between MTC and SCAL? The following table summarizes the strengths already discussed plus a few additional items. The table below indicates which program excels in specific function areas and why. In several cases, both programs are strong enough in features within that topic area that one program doesn’t stand out over the other. Overall Yes SCAL has both PC and Mac versions, option to work in metric, frequent updates, and works with over 30 models of cutters, staying up to date with the latest cutters. Support Yes MTC has a very active forum with hundreds of hours of free webinars and free videos. User Interface Yes SCAL has better zoom functionality, ability to drag layers up and down on the layers panel, opacity, and customizable grid settings. Importing Files Yes Both programs are similar in import capability but MTC can import raster PDF files for tracing, can copy/paste from other applications such as AI and Inkscape, and has over 15,000 free files available in its user gallery, which is accessible from within the program. Exporting Files Yes Yes Besides SVG, MTC can also export as PDF, AI, and EPS. SCAL has special export options for popular cutters unable to cut directly from SCAL. Shape Coloring Yes SCAL offers an opacity setting as well as stroke color, thickness, and shape. It also has a multi-color gradient fill function with linear and radial options. Shape Manipulation Yes SCAL has the ability to choose which part of a shape corresponds to an XY location on the screen, has separate horizontal and vertical spacing control when duplicating shapes, and the ability to group shapes. Shape Organizing Yes SCAL can separately organize SVG and project files into user-defined folders and subfolders. SVGs, project files, and even fonts can be assigned to a Favorites category for quick access. Text Yes Yes MTC can install fonts permanently from within the program and has split options within the text window. SCAL has the ability to change the font after text is entered and will display full character sets without the annoying empty boxes. Designing Yes Yes MTC shows previews of each Boolean Join operation. Further, Boolean Join can be applied to shapes with a raster (texture) fill. Conversely, SCAL has an easier pattern fill and 7 extra design functions not available in MTC. Auto-Tracing Yes MTC can copy/paste from the Internet, resize large imports, apply multiple tracings within the tracing window, preview tracing on virtual mat and the settings are more sensitive. Drawing Yes MTC has fat path drawing with superior smoothing and the ability to draw with dots and dashes. Editing – Simple Yes Yes MTC’s Eraser tool has a straight-line option plus inverse erasing. SCAL has a stencil feature and doesn’t lag if there are hundreds of individual shapes. Editing – Node/Path Yes MTC and SCAL has similar node and path functionality although SCAL permits multiple nodes to be selected at once for moving or deleting. Print and Cut Yes SCAL has the ability to set layers as “print-only” or “cut-only” for easier print and cut use. It also has customizable registration marks. What does SCAL Pro offer? You can find more information and examples of these features. If you are interested in testing Make The Cut, you can download a trial version. Note that you will need both the program and the plugin for your cutter (if you wish to test your cutter in trial mode). The trial version of SCAL is also available for testing. Note that it expires after 15 days so be sure you have some time available to try it out. Note that both MTC and SCAL trial versions will make watermark cuts through your project. If you want to see an even more detailed list of MTC and SCAL features, here is a table showing most of the individual assets that stand out when assessing the two programs. I welcome feedback on the information presented in this article. If I have omitted anything you feel is significant or if I have any errors in the information provided, please do point them out and I will make corrections. Thanks for reading! Thank you for taking your time to help those of us that aren’t up to date on either. I own both, could use SCAL very good at one point with the Cricut and my Cameo, then I switched to Silhouette Design Studio Designer Ed and would go back only when necessary and finally quit using it all together. Now I own a Cricut AIR 2 and it has stayed boxed because their software is just awful. I can use SCAL with my Cricut Expression and have done so many times. I am pitiful with MTC and never took the time to learn it and I only found out a few months ago when I decided I needed to upgrade that it wasn’t being supported at this time. It’s time I sat down and upgrade my skills from SCAL2 to the current version and learn MTC because of some features it has that are missing in SCAL. You’re welcome! I’m so glad you posted because I suspect there are many other Cricut owners in your position. Owning either program offers you some great options in your designing and owning both is even better. Me too own both. Never used mtc. And have scal 1 and 2. Had not used scal for many years but just purchased scal pro 5. Thanks for the review. My question to the readers is how many die cutters do you own? And how many is to many. I own cricut expression, cricut explore, cricut maker, brother scan and cut 1, accuquilt, Gemini, crafters edge cross over, ebosser. Thinking of purchasing the big shot pro. Oh, I forgot to add I also own a cutterbug! Connie I also own multiple Cricuts but they are older. I have the first one, Expression, & the Imagine. So do are these softwares compatible with the Expression & the Imagine still? If so which one would you suggest? Thank you Sandy! I appreciate all the work you put into keeping us informed! You’re welcome! I think you’ll be really happy with SCAL “true” Mac version. you can run windows natively in your Mac since the Mac also is an Intel machine. A free way to do it is to download bootcamp from apple. When you start the computer you can start in either windows or Mac. You can also get a program called parallels which allows you to run windows and the Mac simultaneously. The owner of MTC never responded to numerous inquiries about why he stopped developing new plugins or providing updates. Many owners expressed interest in even paying for a new version of MTC, knowing that providing years of free updates and new plugins had been more than generous. But, alas, there hasn’t been anything new in over 3 years. Thanks, Sandy, a very good read and reference! I started with one of the first versions of SCAL, then purchased MTC when it was first released. I am one of the still-loves-my-MTC gals but now has a cutter that is not supported by MTC and considering another one. Sandy as always, you cease to amaze me. You are the wonder women of these programs not to mention KNK. Which you have made me a true lover of. As you know, I have 2! I always feel like I can only get so far with either of these before I have to call on you. Reminds me of when I was learning Photoshop and that took me 3 years and I still only know a hair more than basic. Wish I had a Sandy when I was trying to learn PS!!! Please don’t ever give up making UM and UM videos, they a what get me through, especially your videos. I am a show and tell learner. Always have been. Thanks again for being you, being so brilliant and being there for all of us…. I currently have a Zing Air (and of course, MTC) that I use daily. It is truly an indispensable tool for my business. I have been considering upgrading to a Zing Orbit or KNK Force, but I’m concerned about the software change. I have hundreds of MTC files (and several thousand hours invested in setting them up) – will SCAL open/read those files? Or would I have to start from scratch? I’m not opposed to having 2 machines/software programs, but I’d like to know what I can expect before I make the investment. Thank you for making this informative post. I apologize if the answer to my question is already posted; I looked but couldn’t find it. So sorry I missed your post, Shannon. To convert from MTC to SCAL, you select the shapes on the screen in MTC and then go to File>Export>Sel. to SVG. Then you can import the SVG file into SCAL. It’s really quite easy… I’ve done it dozens of times now. Hi there, I have sure cuts a lot 2 however I don’t know how to cut rhinestone templates. Am I able to cut rhinestone templates with scal2? hi I am completely new to this and after reading this i am very interested. I have a small cricut machine and a cricut expressions. If I wanted to get the SCAL software will this work with both machines. i am truly a complete novice, I can do various cut outs using the cartridges, but I am still experimenting I assume that i have to be hooked up to the computer once i have the SCAL. Should I go for the latest version Scal 4? I have both. I bought SCAL due to MTC not being stable but SCAL is even worse. Both programs freeze. At least in MTC I can go back and just redo the part I was busy with. In SCAL the file corrupts and I have to start over from scratch. I liked the way you have more control on what you cut with SCAL the few times it actually worked. How do you fix it? I am a KnK Zing owner and use MTC. I recently purchased two new Zing Orbits for my business. My question is if anyone might be able to assist me in helping me understand if I need to transition my business to new program such as SCAL. My concern is that I have not been able to successfully import a high enough quality pixel trace into SCAL. From the reviews and forums I have read through, SCAL might not be the optimal program for what we do. My company makes fine sterling silver Locket Necklaces. Customers upload their photos to our website. We open a saved pdf die in MTC and then import the high resolution customer photo. We use join and break to “place” the photo in the die, and then perform a print and cut with our high end canon photo printer and our old Zing cutter. We recently grew a bit and needed to upgrade our arsenal before this holiday season. We love the KnK cutters and wanted to upgrade. Now we are faced with solving the problem of needing to transition from a seemingly unsupported program (MTC). We use photoshop and illustrator all day. So stepping into a new program is not scary. I am just having difficulty find out what my best option is. Any assistance or guidance anyone could offer would be immensely appreciated! I have a cricut expression. So many articles say that SCAL will work with my machine, and some say it won’t. I’ve tried downloading the trial version and can’t seem to even get that done. Suggestions? I really want to use my machine to it’s capability. Is there help for me? I don’t mind purchasing the program but I need to know if it works before that. Please respond. Hi Rachel, it can be frustrating with so much information out there. So it seems like SCAL will not work with your Expression. You will need BOTH SCAL 2 and a special ROM update to use your Cricut Expression. There was a threatened lawsuit and I am not sure that you can find the ROM update for the Cricut cutter anymore. Maybe someone has a copy of it hanging around. Thank! Awesome post… very helpful! I am getting ready to purchase a Cricut Explore Air 2– will I be able to use my SCAL vrsion 2 with it?